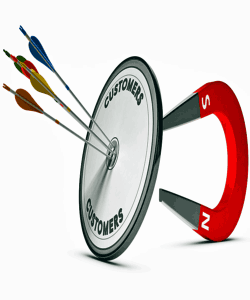 Sales TIPS: Collect Customer Information. Your current customer base is the low-hanging fruit on your tree. It’s the easiest crowd to market to, so it’s important to collect as much information about your customers as possible. Make sure you have some sort of CRM (Customer Relationship Management) System in place to store information such as contact info, family members, birthdays, buying patterns, and more. The goal is to get your customers to buy more services from you. Always try to give the customer more or offer them more. A nice way to market to your client base is by approaching the effort in a way that is personal and intimate. You can send them personalized letters on holidays or birthdays to foster customer interest and further develop the bond between your company and the client. What you are trying to do here is achieve a reliable relationship with your customers. THIS WAY YOU CAN RELY ON THEM FOR THEIR BUSINESS! But, assure your customers that you are there for them too! Send them updates and newsletters via email. Keep them informed on new happenings, industry news, and pest control issues that they should be on the lookout for. The great thing about email is that once you have developed a good email database, it does not cost anything to market to them. Just draft up the emails you wish to distribute and fire them off through the Internet! Just make sure you know what type of service the customer is signed up for. Again, the effectiveness of marketing is very dependent upon the quality of your data. Every little bit of customer information needs to be recorded. You do not want this to be an afterthought because going back to collect information that you are lacking about your customer is a tough, tough job. Pick the one with the features and functionality that serve your business needs. 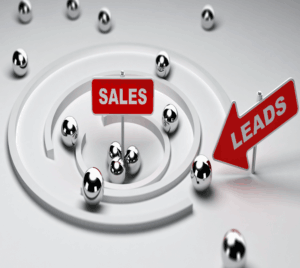 Good Marketing Generates Leads… Now You Have to SELL SOMETHING! Being able to sell yourself, your company, and your services is of extreme importance. If you cannot do this, then you cannot generate revenue. So, remember that SALESMANSHIP is critical. Make sure your marketing puts you in a position to sell. Your marketing sets up the prospects, so now you have to go out and KNOCK ‘EM DOWN! There is a huge difference between marketing and sales. The goal of marketing is to call the customer to take action. You are looking to generate a response from your target market. You want people to call in with inquiries and contact you about a service you are offering. This is the point where you are generating SALES LEADS. Salesmanship starts when the dialogue between you and the customer begins. And there are many techniques that you can apply to close a deal. You can give them the hard sell. You can give them the soft sell. You can give them the consultative sell. Whatever the approach is (and there are plenty of different approaches out there), make sure you have a script available. The script needs to lead both the rep and the sales lead to an end… and hopefully that end comes sooner rather than later! Many Salespeople Are GOOD at Talking…and They REALLY LIKE TO TALK! Unfortunately, this very trait that makes them good salespeople can also make them BAD salespeople. So many times, a sales person will talk and talk and talk… they will talk in circles in a very inefficient manner. And sometimes they talk so much that they eventually talk their way out of a sale. And in the end, they will be lucky if they actually ever get a chance to close the deal. Make sure your sales people are INTENTIONAL in leading your prospective customers down the most direct path that leads to the sale. It is very important to sell but it is also important to sell right.